Does anyone know if there is any good, long footage of prince playing drums? Ive seen and heard how talented he was on drums, although many wouldn't realise it. The only one that I'm aware of at this time is when he takes over drums while Sheila E does the chair rap in the SOT video. I was going to say that. Miles Davis said in an interview that Prince was one of the best drummers he's ever seen. I also remember Prince bestow that same compliment upon Morris Day for his skills. Would have loved to see more of Prince on the bass and drums. Really? You've never seen the video for "America" then? He tears it up. Of course, he's playing drums in "I Wanna Be Your Lover", and he does some percussion work on the Rave Un2 The Year 2000 DVD. Also to the OP, I think it was one of the One Nite Alone Tour that he started one of the shows on drums. I'm sure someone here can co-sign on that. There was also a more recent video of him on drums. If you look up "Prince and Sheila E 💜 " on YouTube, he's on her timbales on one of the 20Ten Tour shows. --. Sheila E said he was a great drummer. I'm sure I saw some footage of him on drums in the studio once. Did I dream it? He opened up on drums during ONA in Japan. What??? His drumming on the Madhouse 8 album is incredible. It also says he played drums on Darling Nikki. He didn't. That was Morris Day. You're probably thinking of the music video for A Million Days. Never heard that before...PrinceVault has Prince playing the drums on Nikki. petalthecat said: What??? His drumming on the Madhouse 8 album is incredible. The question then is, do you think he could play Darling Nikki on drums? Surely you are not doubting Prince could play it??? Really??? I think that's the ONA tour in Osaka, Japan. I have/had a boot of that. Not seen it in a while though. Lost in my own vault. 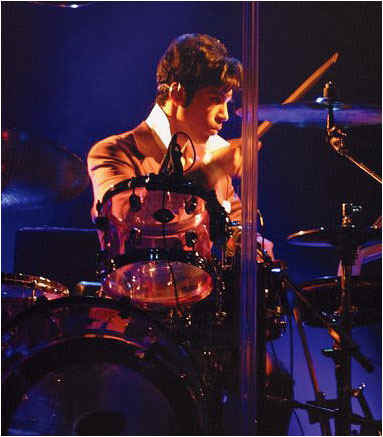 I loved Prince on drums!! He was absolutely amazing!! There are some good YT videos out there. There is a good one, back when Sheila E. toured with him, and P does a drum solo!